Beginning January 1, 2013, employers are required to report the value of certain health benefits on employees' W-2s unless they are filing fewer than 250 forms. The IRS provided guidance (links below) on these reporting requirements, which include medical plan coverage, Medicare supplemental coverage, onsite medical coverage, and employer-sponsored flex credits contributed to a flexible spending account (FSA). Effective for plan years beginning on or after January 1, 2013, an employee’s annual pre-tax salary reduction contributions to a health flexible spending account (FSA) must be limited to $2,500. The $2,500 limit will be indexed for cost-of-living adjustments for 2014 and later years. Effective January 1, 2013, the Medicare Part A (hospital insurance) tax rate increases by 0.9 percent (from 1.45 percent to 2.35 percent) on earned income over $200,000 for an individual taxpayer and $250,000 for married couples filing jointly. It also includes a 3.8 percent tax on unearned income in the case of an individual taxpayer earning over $200,000 and $250,000 for married couples filing jointly. The new summary of benefits coverage and uniform glossary required under the Patient Protection and Affordable Care Act and Health Care and Education Reconciliation Act of 2010 must be provided to participants and beneficiaries on the first day of the first open enrollment period that begins on or after September 23, 2012 or January 1, 2013 for calendar year plans. Health insurance exchanges will be set-up in 2013 under the Patient Protection and Affordable Care Act. The U.S. Department of Health & Human Services (HHS) published a final rule which allows states to determine whether their exchange should be operated by a non-profit organization or public agency as well as how to select plans to participate and whether to collaborate with HHS for key functions. It also addresses how small business can obtain coverage through the Small Business Health Options Program (SHOP). Additionally, effective March 1, 2013, employers must provide all new-hires and current employees with a written notice about the future availability of health insurance exchanges in their state. In 2014, employers with 50 or more full-time equivalent employees, who work an average of at least 30 hours per week, will be required to provide minimum essential healthcare coverage or pay an annual penalty. The IRS has established a "lookback/stability period" for determining the full-time status of employees. 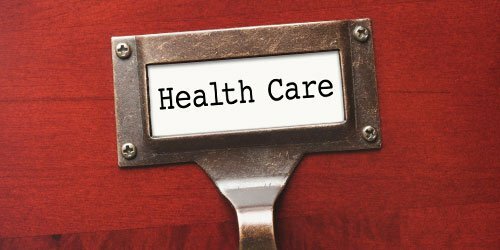 The IRS and DOL issued guidance regarding the 90-day waiting period limitation in the Patient Protection and Affordable Care Act. This provision “provides that, for plan years beginning on or after Jan. 1, 2014, a group health plan or health insurance issuer offering group health insurance coverage shall not apply any waiting period that exceeds 90 days;" however employees still need to meet the plan's eligibility conditions. While both of these provisions do not go into effect until 2014, they are significant changes and will require employers to prepare for them in 2013. Employers should keep in mind that guidance continues to be released about these provisions and dates may be subject to change based on new rules which are issued. In addition, other provisions will also go into effect later in 2013. If you have questions about healthcare reform, ERC members can contact our HR Help Desk at hrhelp@yourERC.com.